No reliable numbers exists but it’s estimated that up to 2 million dogs are stolen annually. Just last month a young boy from Orlando FL was walking his dog when someone pulled up in a car and snatched the dog right off the leash. Also, in July, a family traveling back from a trip had their dog stolen while stopping to get something to eat. Another dog, belonging to an Detroit man, was even stolen right out of his fenced-in yard and caught on the video below. Many people consider their pets family, and naturally feel much the same as parents who have a child abducted. Although some might consider that comparison extreme, I am confident that pet parents would agree with that statement. Andrew Cuomo, Governor of New York, apparently agrees also. On Wednesday, July 23, 2014 he signed into law a substantial increase in the fine of $1,000 for this crime. The fine imposed in 1970 was $200 and has stood until now. Actions for incurring this fine include removing pet identification in the form of collars and tags, removing animals “under its owner’s control” (which includes removing an animal from its owner’s vehicle), and transporting the animal for the purpose of killing or selling. How do Pet Parents Keep their “kids” Safe? There are many reasons why pets are stolen, including to sell to labs for use in testing, to be sold in a pet store, to be used for breeding purposes, and more sinister activities. It’s up to us to protect our loved ones. Here are some simple things you can do to protect your dog from becoming a statistic. Make sure your dog has a collar with your contact information. This won’t stop would-be thieves from removing that collar, but it can help should your dogs get away from you while walking or escape from your back yard. If your contact information is readily available, it will help an honest person get in touch with you, hopefully before an individual looking to grab a dog for less than honest reasons. 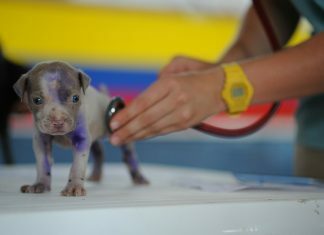 Another thing to consider is having your dog microchipped or tattooed by your vet. Labs are required by law to check for a tattoo and to trace the owner if a tattoo is found. Do not leave your pet unattended outside. But if your dog is left alone while in your yard, the safest route is to make sure he or she cannot be seen from the street. If that is not an option, consider padlocking your gate. An additional layer of security can be added by installing a door bell sensor device at the end of your driveway. When someone or something passes the sensor it sets off a tone like a doorbell inside the house. Still, the best option is to leave your dog inside when you are not home if you can. Do not leave your dog unattended in your car. All dog owners should know the dangers of leaving dogs in a car during hot weather, but even during mild weather dog owners face another danger from leaving a dog in the car. Anytime your dog is alone outside your home, including being locked in your car, there is a risk of theft. Do not leave your dog unattended outside a shop. Never leave your dog tied to a tree or parking meter while you are inside a shop. Your baby is an easy target for thieves. Just like for your children, you should keep current photos of your dog and be able to give an accurate physical description should the need arise. Having your dog spayed or neutered will help keep them closer to home. Some dogs still have “wander lust” and love to go places and meet new people, but at least by spaying or neutering, you can reduce some of your dog’s need to wander. 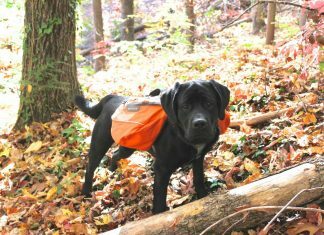 You may not be able to reduce your chances of losing your dog to thieves to zero, but implementing the steps above can help reduce the risk.